Birinji or brinji it is an intermediate between biriyani and pulao.Here the rice is cooked in coconut milk together with ground fried spices.And that is the key secrete of this dish.Here bay leaf is the main flavouring agent.It is called "brinji elai"in Tamil.You can eat this one without any side dish. 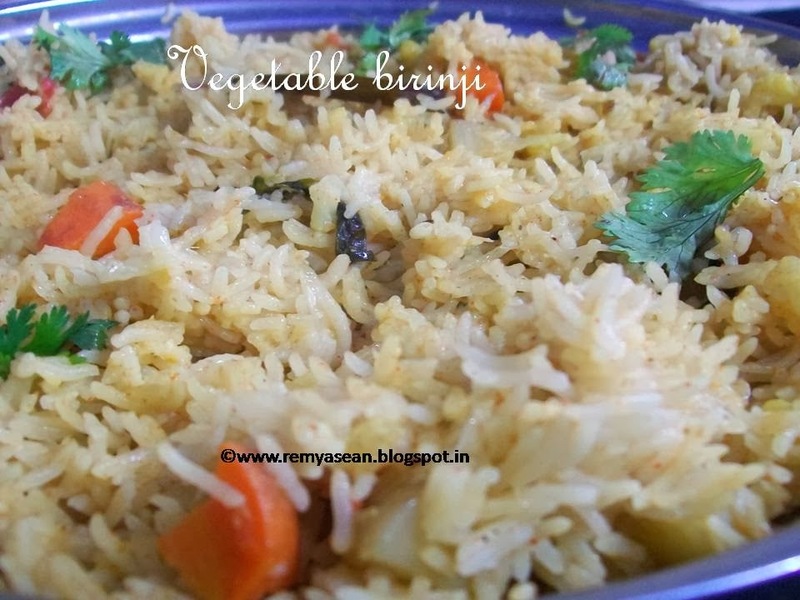 I tasted it from my collegues home for the first time.And after that several times I tried it in my home.Here in Tamil nadu birinji is serving as a special dish for special occasions. Wash and soak basmati rice for 30 minutes.Drain it and keep aside. Grind the ingredients listed under"to grind". (I didn't grind mint and coriander leaves simply added while sauteing).Keep it aside. Heat the pressure pan with ghee and oil. Add all the ingredients listed under "to temper". Add sliced onion and saute it well until it turns golden brown in colour. Saute it well till it get mashed with onion. Add ground paste and fry it well. Add green chillies,chilly powder and garam masala powder.Stir it well. Add vegetables and salt.Saute it well. Add basmati rice and saute it well. Cover the pressure pan and place the weight. Switch off the flame and let the cooker cool. 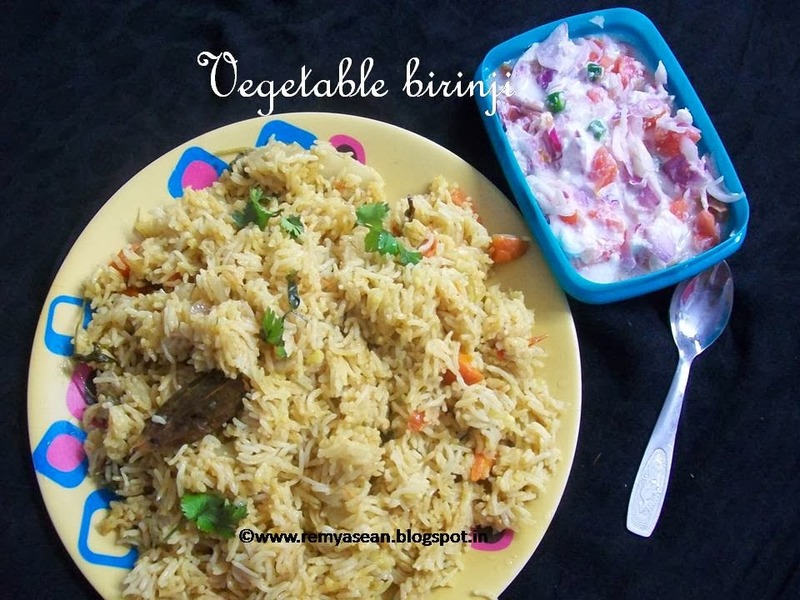 Yummy birinji is ready to serve.